The Road Behind, The Road Ahead is a unique project created by The Theatre Chipping Norton to explore the history of the Suffrage movement, and what it means to us today. In the age of #metoo and gender pay disputes, women’s equality remains one of the most pressing issues of our day. Between 1900 and 1920 there were over 400 female playwrights working in Britain. 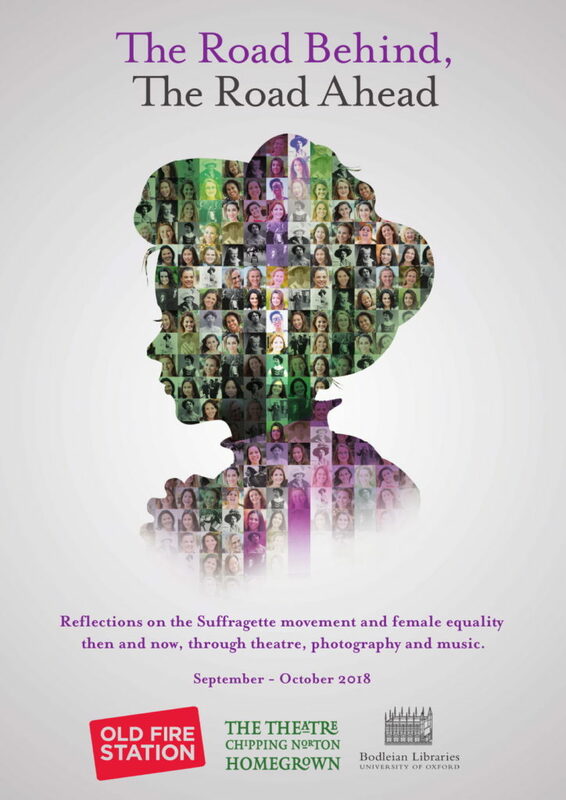 Join us for an evening of these half-forgotten voices from the Votes for Women movement – a stripped back programme of short plays, songs and music that helped to shape Edwardian public opinion and remain relevant, gripping and funny to this day. 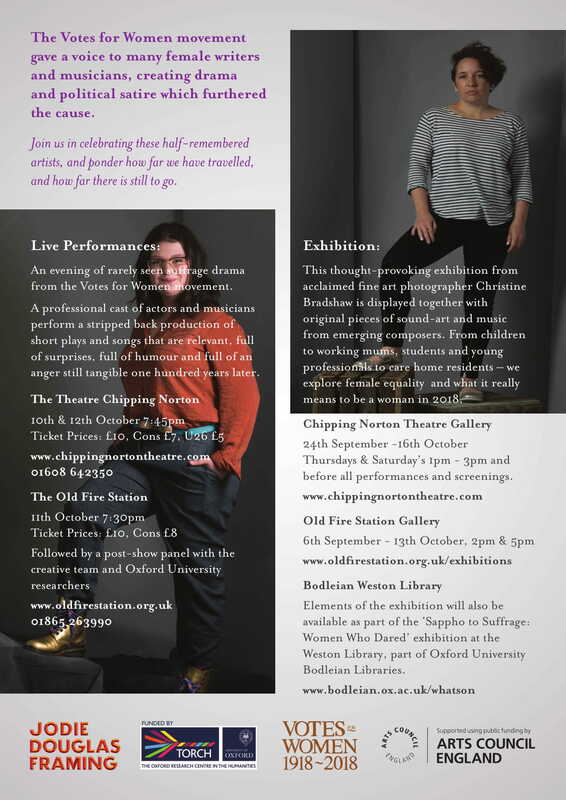 The live performances are partnered with a thought-provoking photographic exhibition and newly commissioned pieces of sound-art and music that reflect on experiences of equality from a range of contemporary women from across Oxfordshire. From teenagers to retirees, students to professionals, children to working mums, join us to reflect on how far we have come, and how far we still have to go. Multi-media Gallery Exhibition: 24th Sept – 16th Oct, 30 minutes prior to any event at the theatre and from 1pm-3pm each Saturday. Free entry.